Having followed all steps of this Plone Tutorial, you will become aware of how to import/export data into different Zope or Plone sites using QuickImporter, SSH, WinSCP, and other tools. See our Plone Migration Tool for migrating content between two Plone websites: quintagroup.transmogrifier import/export Plone tool allows to export content from one Plone website and easily import it into another one. 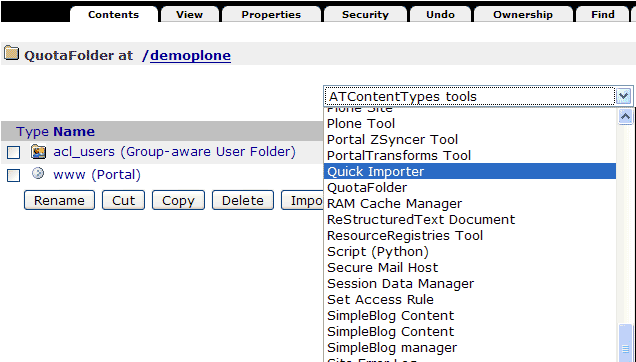 The following Plone Tutorial shows how to import/export data into different Zope or Plone sites using Quick Importer tool, SSH, WinSCP, and other tools. Such method is not common, it is suitable for certain situations only. WebDAV: upload content, photos, PDFs, mp3, and other files into ZODB. 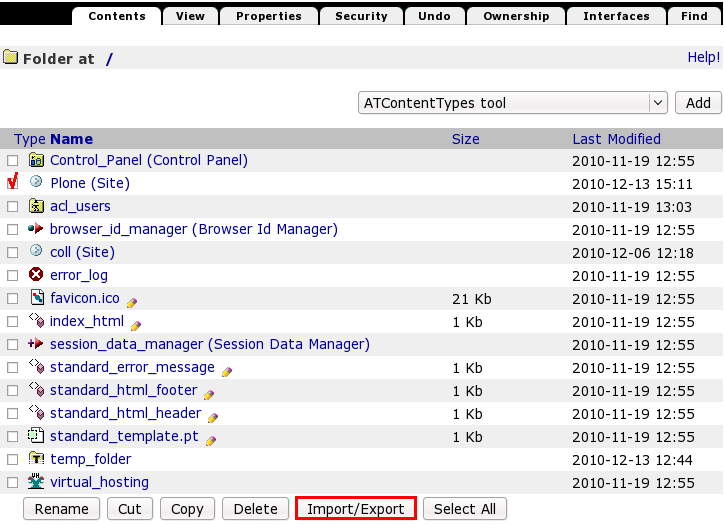 With Plone Shared Hosting you can export the entire Plone site or some folder using .zexp import/export. We have QuickImporter installed on our servers, which greatly simplifies import operations. Suppose your site is located at http://localhost:8080/Plone. Go to site's ZMI http://localhost:8080/manage. 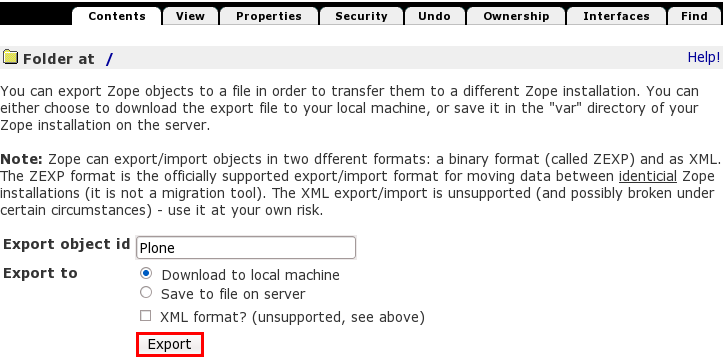 To export local Plone site you have to select it (the Plone object) in ZMI and press Import/Export button. Don't change the id. Select Download to local machine and Click Export button. Save *.zexp file to local computer. If your site id is Plone then the filename should be Plone.zexp file. Suppose your Quintagroup Plone site is available at: http://plone03.quintagroup.com/demoplone/www. Go to the ZMI of your Zope root where Plone site (www) is located http://plone03.quintagroup.com/demoplone/manage. Use Quick Importer product to import you zexp file via http. Select it in the ZMI - dropdown list near add button (top right corner). To carry out import/export of some site folders - follow the procedure described above. There is an Import folder in the filesystem and it is accessible only through filemanager WinSCP or SSH. (Import folder in ordinary instances is located directly under data1, in instance created with buildout - it is under data1 -> parts -> instance). Plone Shared Hosting, Zope Shared Hosting, Trial Hosting have no access to filesystem and the access is not needed to import zexp files. QuickImporter adds this feature through the web.